The Toy Society is a world-wide collective of toy makers – of varying skill levels– who make toys and leave them as gifts for perfect strangers. The project was started in Australia in June 2008 by a local crafter, Bianca, as an attempt to create a ‘something for nothing’ experience for anyone who discovered a toy. What started as a small personal project has now spread around the world and become known as a Random Act of Craft. There are more than 3200 members throughout the world who have collectively gifted more than 1800 lovingly handmade toys to perfect strangers since the project began. 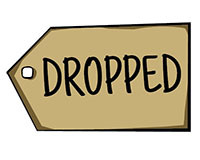 When a member leaves a toy gift it’s called a “Toy Drop” and is posted here on the blog and assigned a drop number. Each toy is safely sealed, with a note to the finder, inside a press seal bag – to protect from the elements. 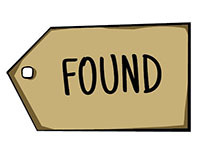 The toy is then left to be found with a tag attached inviting the finder to “Take Me Home I’m Yours”. Finders are invited, but not expected, to let The Toy Society know they have found a toy, and these notes are also posted here on the blog. But it’s not expected to hear back from finders; The Toy Society is about giving someone something and expecting absolutely nothing in return, which is a real rarity these days. Drops and finds can be tracked on the blog, either in numerical order as they are posted, or by country tags (see left column) or by themes (also see left column). The blog is maintained by a team of volunteers from around the world. Membership of The Toy Society is open to anyone, who wants to contribute and believes in the spirit of the project, and is easily attained by completing a brief sign up form on the blog (see left column on the main page. Crafters of all levels are welcome to participate – even beginners and kids.